Also serving communities of North Highlands, Rio Linda. There are 186 Assisted Living Facilities in the Antelope area, with 4 in Antelope and 182 nearby. The average cost of assisted living in Antelope is $3,150 per month. This is lower than the national median of $3,346. Cheaper nearby regions include Citrus Heights with an average starting cost of $2,775. To help you with your search, browse the 619 reviews below for assisted living facilities in Antelope. On average, consumers rate assisted living in Antelope 5.0 out of 5 stars. Caring.com has helped thousands of families find high-quality senior care. To speak with one of our Family Advisors about assisted living options and costs in Antelope, call (855) 863-8283. Antelope is a suburban community on the northern edge of Sacramento, set right on the boundary between the I-80 urban corridor and the wide-open agricultural land of Sacramento's northern floodplain. Of the 46,000 people who live in Antelope, only 9 percent are seniors age 65 and over, though the surrounding area has at least 186 assisted living facilities for seniors who need help with activities of daily living (ADLs), such as personal care and meal service. 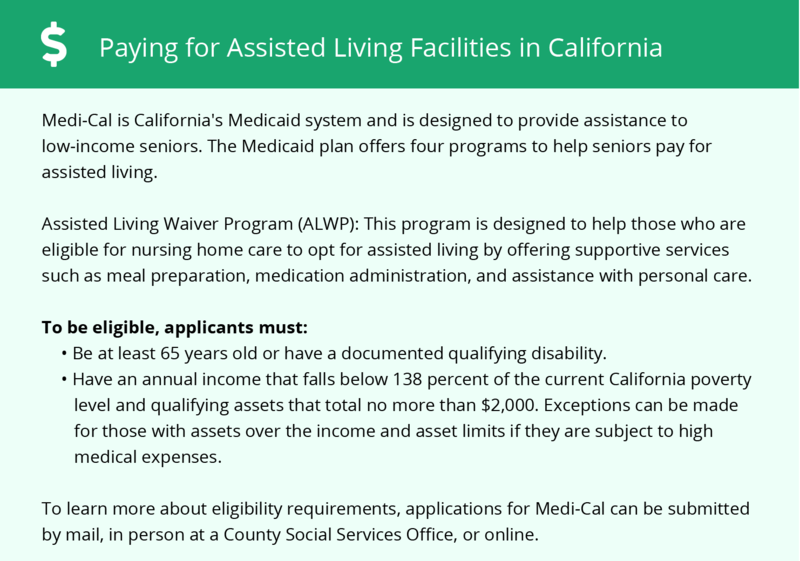 California requires residential care facilities, a category that includes assisted living communities of all kinds, to carry a current license through the California Department of Social Services' Community Care Licensing Division. Antelope's weather is warm and dry in summer, with average daily highs of 92 degrees. Winter brings 18.5 inches of rain, along with average daily lows of 38 degrees. The entire Sacramento area, which sits at the junction of two rivers, develops very high pollen, mold and other allergen counts in spring and summer, which can be an issue for seniors with asthma. The cost of living in Antelope is both significantly higher than the national average cost of living, and significantly lower than the average for the rest of California. Prices here are 36 percent above national averages, while California's overall cost of living can be 69 percent above the national average. Healthcare in Antelope costs just 90 percent what it typically does elsewhere in America. The Sacramento area has an overall crime rate that's around one-third higher than the national average. Antelope is an exception to this trend, however, as the semi-rural northern area where it's situated has far less violence and property crime than Sacramento's South Side and North Highlands, where crime is concentrated. Sacramento Regional Transit (SacRT) provides regular bus and light rail service to the Sacramento area. Rail service to Antelope is lacking, though a transit center at Watt Ave. makes a convenient park-and-ride jump off point for travel throughout the metro area. RT offers half-off discount fares for seniors age 60 and up with valid transit ID, as do the adjacent public transit authorities in Roseville and Yolo County. The Antelope area is home to world-class medical facilities, including those specializing in brain health and dementia care such as Sutter Roseville Medical Center and Kaiser Permanente Roseville Medical Center, in the event of medical emergencies or illness. Antelope has an array of community resources for seniors, including the Assistance, Referrals and More for Seniors (A.R.M.S. ), an organization that helps seniors in Antelope navigate the maze of state and federal social programs they may be eligible for, as well as more than a dozen senior centers. Assisted Living costs in Antelope start around $3,150 per month on average, while the nationwide average cost of assisted living is $4,000 per month, according to the latest figures from Genworth’s Cost of Care Survey. It’s important to note that assisted living rates in Antelope and the surrounding suburbs can vary widely based on factors such as location, the level of care needed, apartment size and the types of amenities offered at each community. Sacramento County is one of only 15 counties in California where low-income seniors can get a state Home and Community Based Services (HCBS). 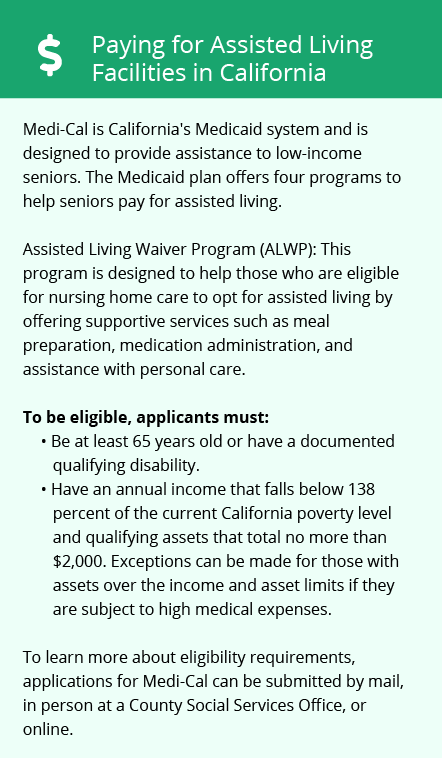 This waiver program covers some of the cost of assisted living for seniors in Antelope. Antelope and the surrounding area are home to numerous government agencies and non-profit organizations offering help for seniors searching for or currently residing in an assisted living community. These organizations can also provide assistance in a number of other eldercare services such as geriatric care management, elder law advice, estate planning, finding home care and health and wellness programs. To see a list of free assisted living resources in Antelope, please visit our Assisted Living in California page. Antelope-area assisted living communities must adhere to the comprehensive set of state laws and regulations that all assisted living communities in California are required to follow. Visit our Assisted Living in California page for more information about these laws.